1. What are Big C’s views on the consumption of energy, particularly on renewable energy? Both BJC and Big C have always valued the environment. We make an effort to bring different systems and technologies to help effectively manage our energy consumption, such as switching to LED light bulbs and changing to chillers with higher efficiency. 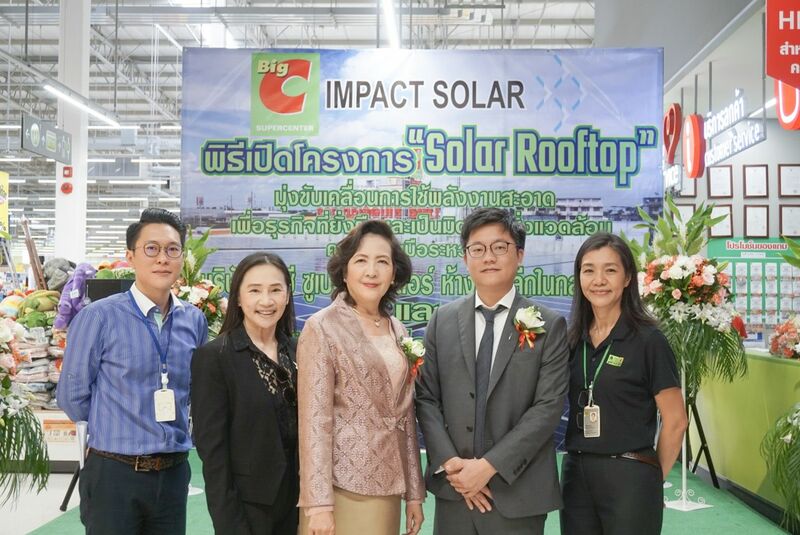 Earlier this year, we have initiated the use of renewable energy by installing solar rooftop systems on our Hypermarket and Mini Big C branches, totaling over 16 branches throughout Thailand. 2. 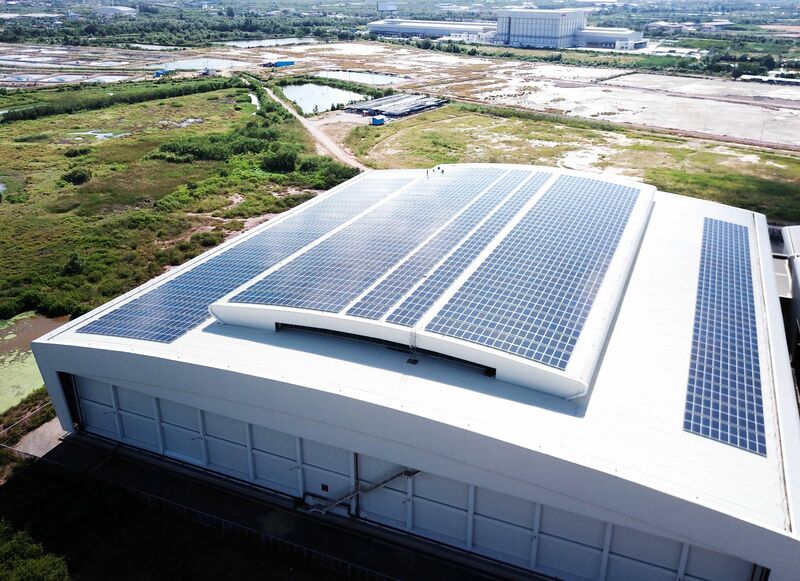 As one of our region’s leading businesses, what was the reason behind Big C’s initiation to adopt the use of solar energy in your organization? At Big C, we don’t see renewable energy as something far-fetched; instead we realize that our responsibility towards the environment requires immediate attention where everyone should take part. This is why Big C aims to become one of Thailand’s organizations to seriously combat greenhouse gas emissions. We have studied the solar energy system for a while and is confident in the technology and performance of the system, which is why we have specifically selected a company with particular expertise and experience to manage this matter. 3. Why did you decide to proceed with the Private PPA scheme for this solar rooftop project? In fact, our teams here at Big C have studied the advantages and disadvantages of different investment types to finally conclude with the Private PPA scheme as it answers to Big C’s requirements in a number of aspects. The first reason being the significant reduction in our investment costs, which can be put to better use towards our main operation and expansion of our branches. Secondly, Big C has no intention to increase workload for our operation teams in managing the solar rooftop systems, considering that we have no expertise in this field, whereas the Private PPA offered by Impact Solar includes all investments in the system as well as installation and operation & maintenance. Lastly, we are able to benefit from the use of clean energy while receiving discounts on our monthly electricity fees – it’s a win-win solution for all of us. 4. What was the reason for selecting Impact Solar as your business partner to carry out this project? Personally, we did not know of Impact Solar until they presented us with their Private PPA scheme, which is in line with Big C’s requirements. For this particular project, we conducted a very detailed selection process as it involves commitment to a long-term contract. We felt that Impact Solar was different from other companies in their sense of professionalism, attention to detail, coupled with their experiences in Private PPA projects, which is what led us to finally select Impact Solar as our long-term partner.